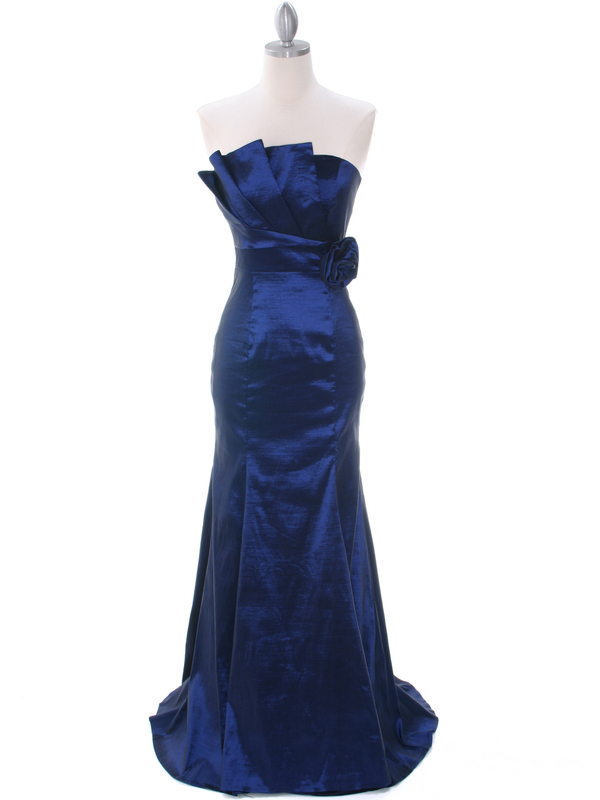 Navy Evening Gown | Sung Boutique L.A. 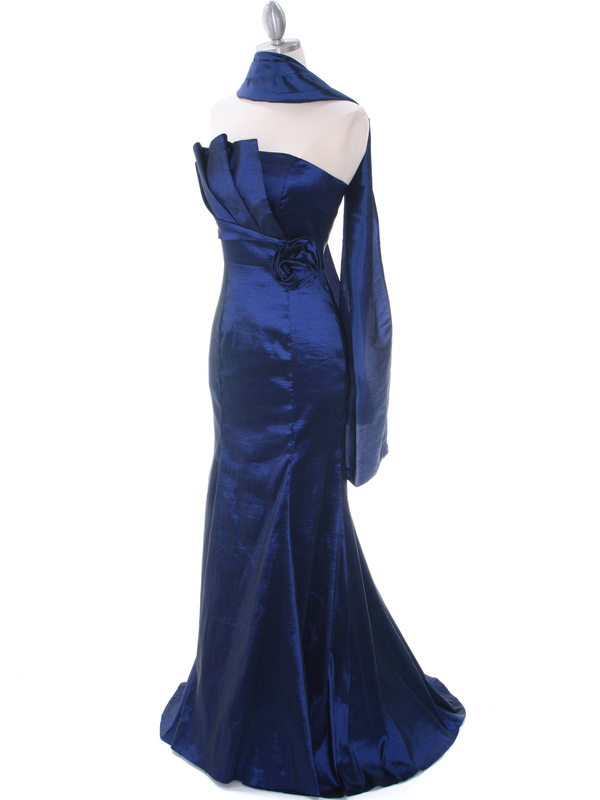 This exquisite strapless evening gown features a unique spread out neckline. 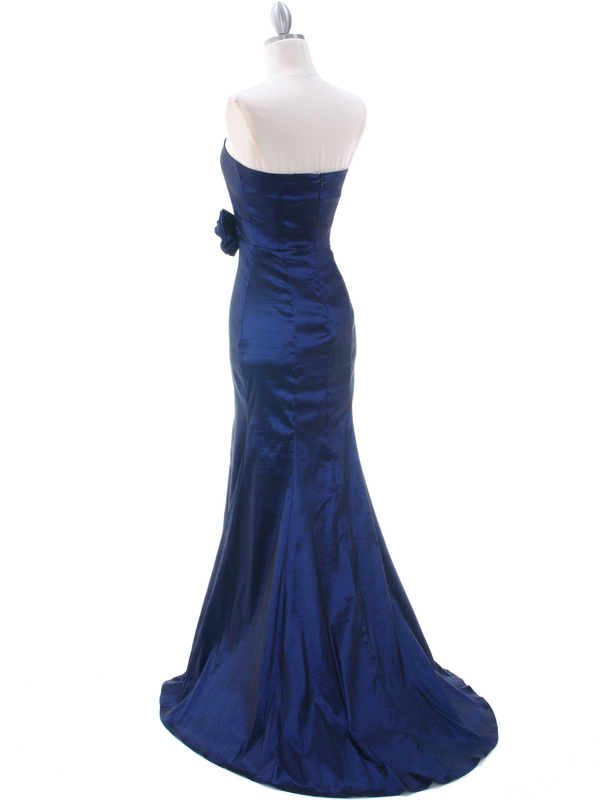 Beautiful rosette adorns the waist. Slight train finishes the elegant and classic look. - Approx. 53 in. from underarm to front hem. - Approx. 57 in. from underarm to back hem.